Anne Shirley is many things, but one constant that stands out in both books and films is that she is a dreamer. Her imagination lets her soar and even if there is a letdown, it seems as if the dreams were worth the trouble. Anne once so memorably said, “It’s not what the world holds for you, it’s what you bring to it. The dreams dearest to my heart are right here.” This quote has been standing out more and more to me of late, and I think that it’s a testament to L.M.Montgomery’s insight into the human condition. Yes, we all have dreams and aspirations. Some of them will come true, through dint of hard work, and some will simply stay imaginings: wishes of could have been and maybes. But sometimes, those dreams evolve and perhaps become smaller yet no less fulfilling. What I think we need to remember, and what I have to often tell myself, is that just because things do not work out how you have dreamed they will does not mean that what you have is not worth it, that something else that will inspire you to perhaps a new dream, could be around the bend. I think we can take wisdom from Anne and L.M.Montgomery, and bring the best of ourselves to the world through what is important to us. Dreaming is never a waste of time and it is through dreams that we grow and eventually create the space that was meant for us in the world. 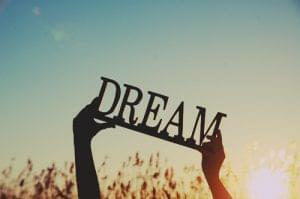 What are some of the dreams you have that you would like to achieve?